Courtwood can support young carers. If you, or a family member, need support please contact Mrs Cook or Miss Stawman. All contact will be treated in the strictest confidence. Parents & children can also contact us using the Young Carers Message Box in the school library. A flexible approach for homework deadlines. Use of timeout card if upset or angry. Managing transition to secondary school. Having a flexible approach to parents’ evening and meeting appointment times. Referral to School Nursing Team if necessary. We work with outside agencies to help support families. Courtwood Primary School is committed to meeting the needs of young carers so that they can attend and enjoy school in the same way as other pupils/students and achieve their potential. 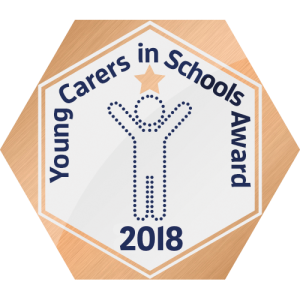 Miss Stawman is the designated Young Carers’ School Lead and Mrs Cook is the School Operational Lead with responsibility for young carers and their families. Pupils and families are aware of the identity of these leads and can find further information on the school noticeboard and in newsletters. Their role is to develop and maintain the support for young carers at Courtwood, including identification and support for their families. Mrs Worboys and Mrs McCormack provide support directly to young carers at Courtwood. We welcome feedback and ideas from young carers and their families to shape and improve our support. We use Pupil Premium funding to minimize any barriers to education and learning experienced by eligible young carers. The school has an effective referral system and strong partnership in place with relevant external agencies, including the school nursing team and the local young carers’ service.